Ladies, grab your girlfriends and head on down to Boho. 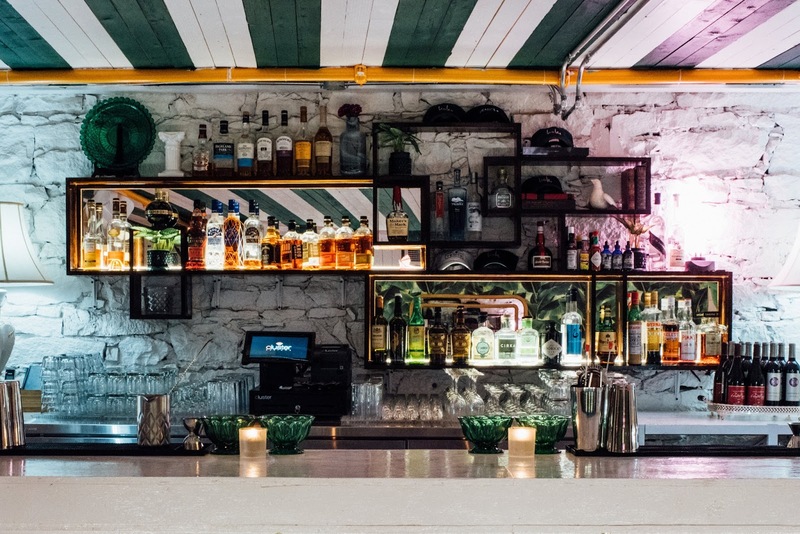 The place feels like a speakeasy with a tropical twist and I'm completely obsessed with it. 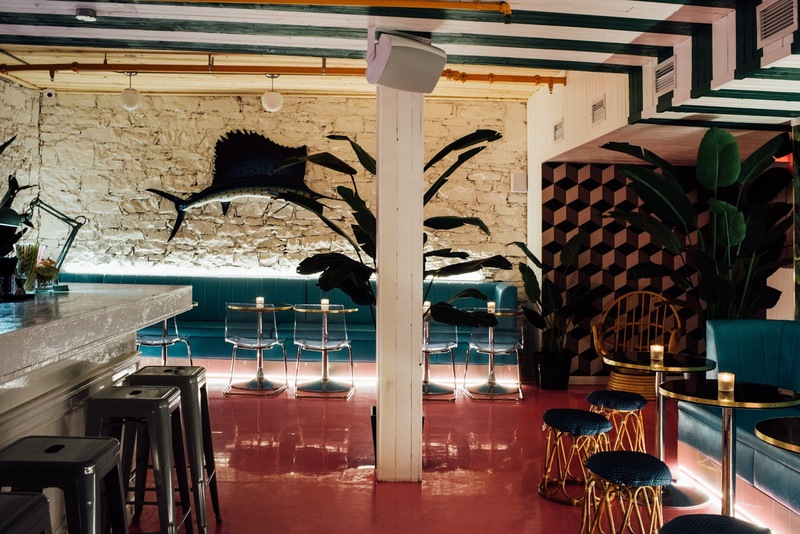 Boho is a perfect place to enjoy a cocktail in Old Montreal. 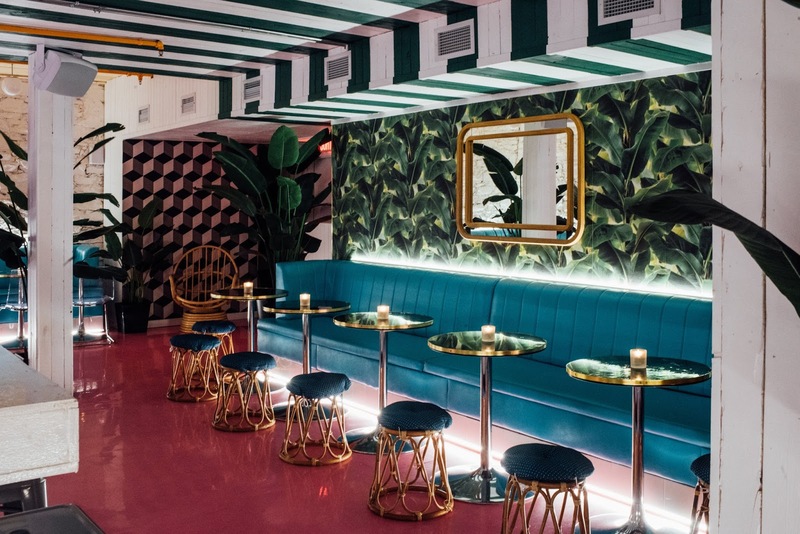 The space makes me feel like I'm in a hidden gem in the style of Miami's Art Deco with its green and white ceiling, fluorescent pink floor and blue leather seats. 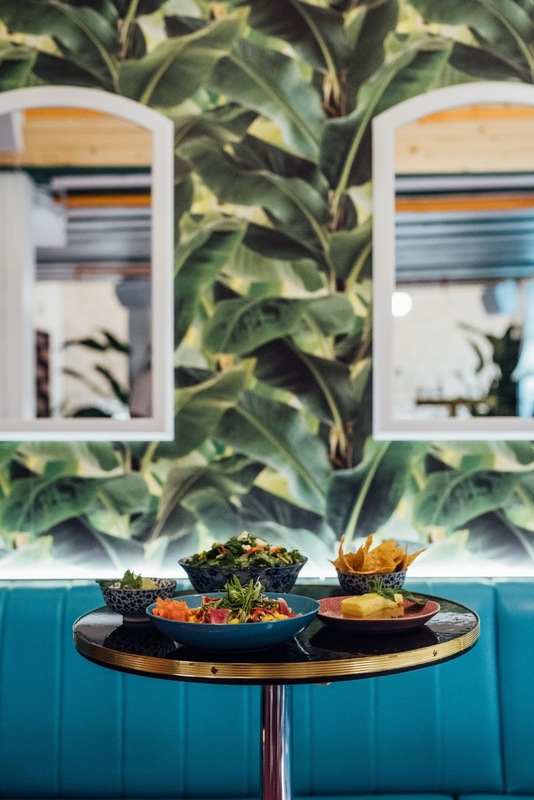 Dining options include Venice's MTL menu. 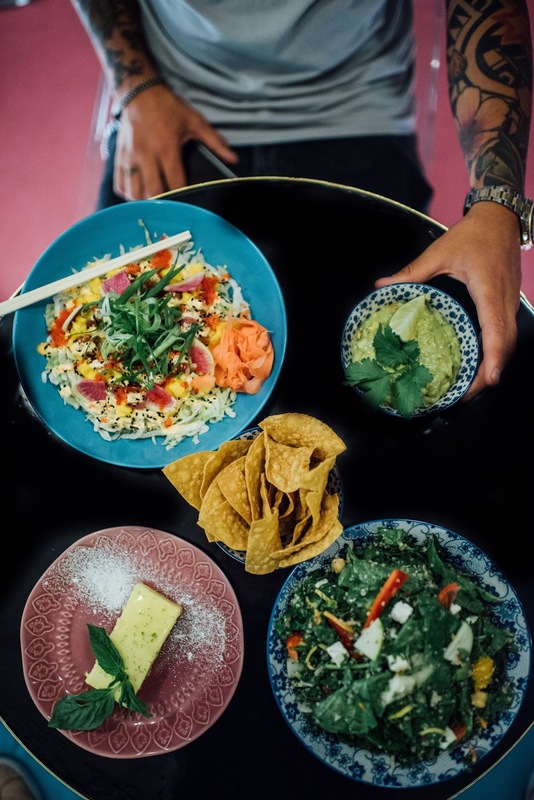 Dishes start at $6 to $18: salads, sandwiches, soups, tacos, poke bowls (which are the best! ), small pizzas, side-dishes, and desserts. 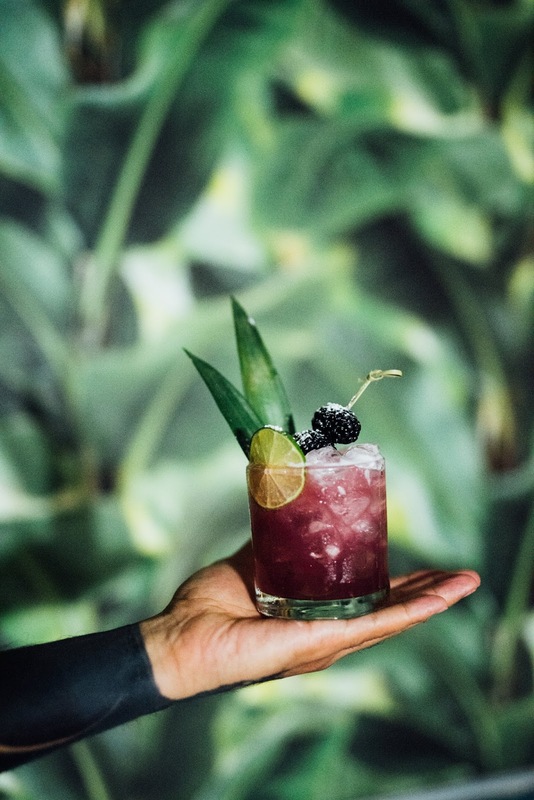 To drink, you'll find a dozen signature cocktails - lots of colors and flavors that make you travel to a tropical destination! 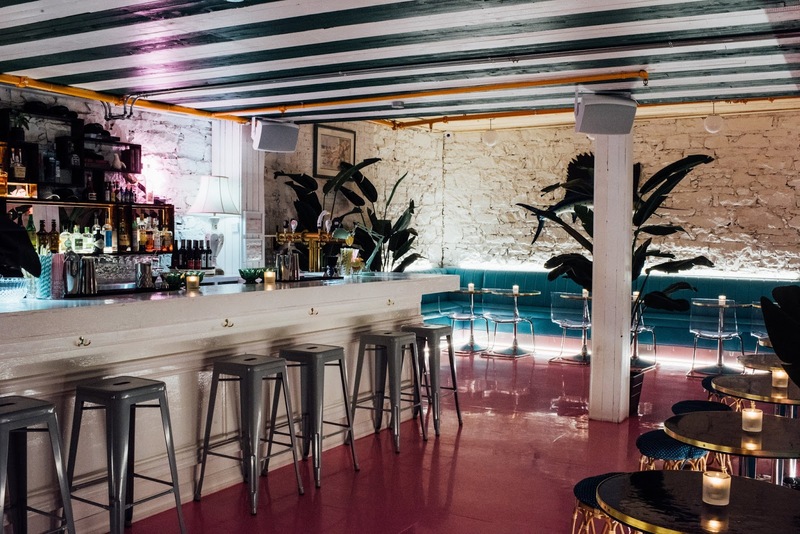 Boho's delicious cocktails will have you coming back for more.